The technical state of disrepair of the SNG building in Bratislava resulted in a radical step by director Katarína Bajcurová, who as of 1 March 2001, decided to close down the exhibition spaces of the SNG bridge. Inconsistent project construction, installation of worn-out technology and the use of poor quality materials, as well as the problematic "repair" of the leaking glass roof, all contributed to the fact that after 24 years the bridge became unsuitable for exhibition purposes. Thus the gallery had to close off approximately 1,800 m² of its exhibition space designated particularly for temporary exhibitions. 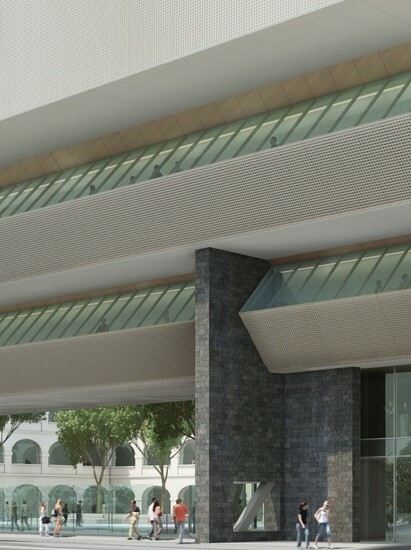 As a result of this decision, the gallery faced a wave of negative criticism from the population, the city's chief architect and certain parts of the expert public. Post-revolution voices brought to life called for the removal of the bridge, although former party and governmental buildings have fulfilled and fulfil new functions in the city without such radical architectural interventions. The employees of the gallery, a certain part of the domestic expert public and voices from neighbouring countries promoted the preservation of the building in public discussion. In 2001 the SNG management, together with the Ministry of Culture of the SR, decided to deal with this state of emergency by implementing an investment plan for the reconstruction and modernization, or completion of construction of the SNG premises (in the period of 2004 - 2005, the first part- the reconstruction and modernization of the Esterházy Palace according to the project of Ing. arch. Rosica Borščová was carried out). The construction plan of 2001 called for necessary repairs but without a principal re-evaluation of the complex. Yet it was the functional re-evaluation of the complex that appeared to be necessary to ensure the resolution of the problem of the never completed gallery premises. 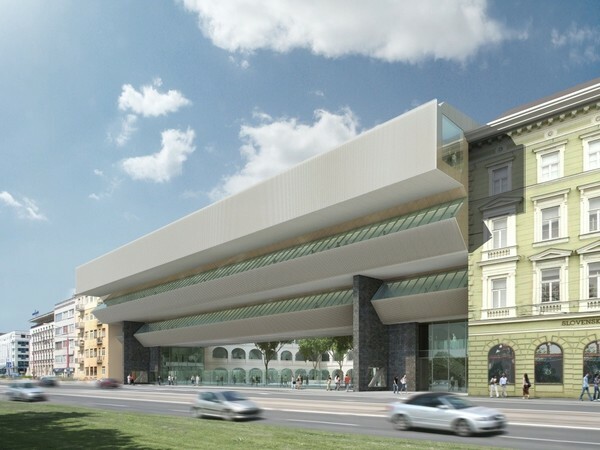 Even moreso since the concept, which director Bajcurová succeeded with in her campaign for the post, also incorporated the so called development model of the SNG, i.e., the building of a multi-functional gallery facility corresponding to European standards of the 21st century. The continuous threat of floods of the Danube River contributed to the re-evaluation of the spatial concept of the premises, and the bursting of the water pipes in October 2004, resulted in damage to collection items in the basement depository. 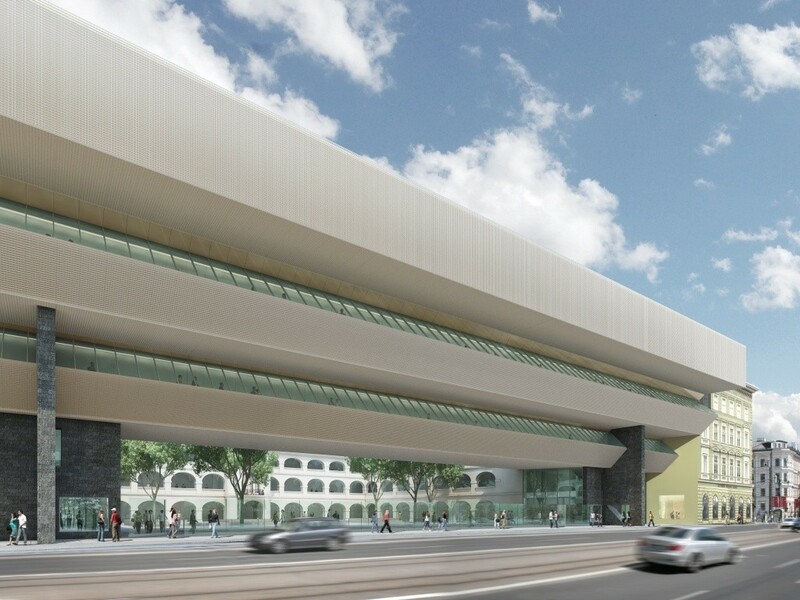 The gallery decided to search for a solution in the form of a public architecture tender. Only the second tender for the reconstruction and modernization of the SNG premises brought results (2005, chair of the jury: architect Gustav Peichl) with more specified terms and conditions respecting the new functional requirements. Studio Architekti BKPŠ Kusý - Paňák were selected.